Get to know Director of Nursing Krystal Adams, N.P., and her goals for your Emerald experience. Krystal Adams, N.P. 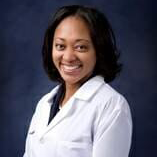 is a native of Upper Marlboro, Maryland and has always wanted to be a nurse so that she could take care of others by spending time with them, being their advocate and anticipating their needs. She obtained her bachelor’s in nursing from Howard University in Washington, D.C., her master’s in nursing from University of Maryland, Baltimore, and her post-master’s certificate in gerontology from University of Boston. Her passion for taking care of others and traveling landed her in California in 2007 as a travel nurse, and she has never left. She took on the role of caretaker for her beloved Uncle Frank Price, and she is now kind of stuck here, due to love of her wonderful husband, Daryl, and two children, Marlie and Madais. Her dedication and love for her work exude our core values, and we are so excited to have her be a part of the Emerald family. As the Director of Nursing for Emerald Health Services, she strives to provide the best guidance and counseling possible to our traveling nurses. She believes in building long lasting and trusting relationships with our travelers, interim candidates, and permanent placements. Since joining Emerald, Krystal continues to acquire a comprehensive evaluation of every RN by taking the time to listen and understand their particular needs and concerns. Her ultimate goal is to encourage and provide a positive experience for all Emerald employees. Krystal Adams can be reached at 310-484-2037 or kadams@emeraldhs.com. Emerald Health Services is a travel nursing and allied healthcare recruiting agency that’s been going above and beyond to curate life-changing experiences for healthcare professionals who long to travel since 2002. Create your opportunity today.